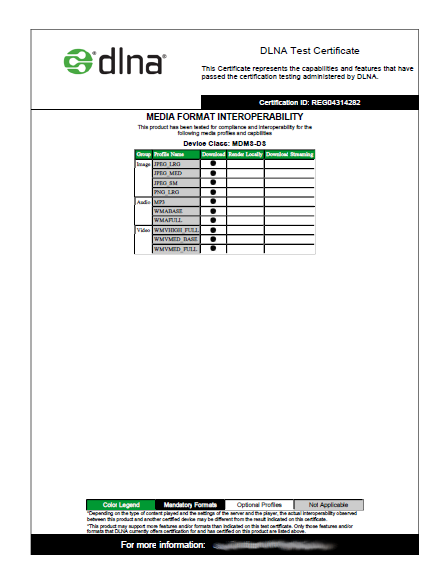 The DLNA Networked Device Interoperability Guidelines specify the interoperable building blocks that are available to build platforms and software infrastructure. 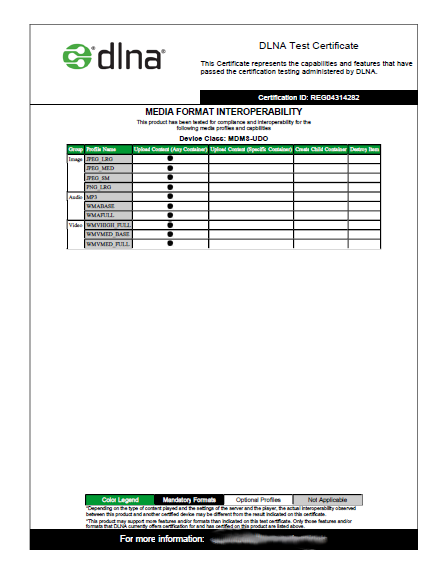 These guidelines focus on interoperability between networked entertainment and media devices for personal media uses that involve images, audio and video. 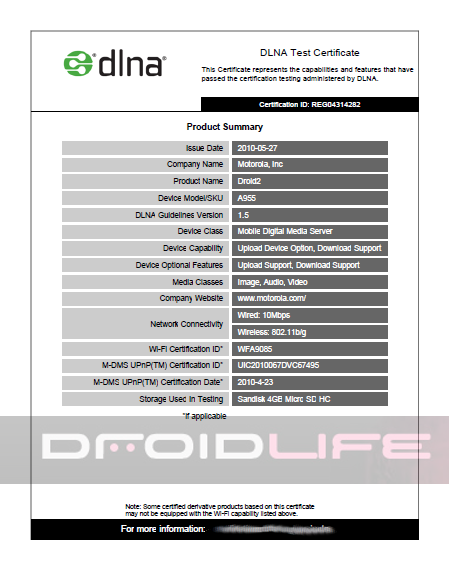 This really just shows us that the D2 will come stocked full of a bunch of media-related products including the DLNA app which is already featured on the Droid X.
Don’t forget to check out our exclusive Droid 2 gallery from back in June plus the leaked images from late last night. 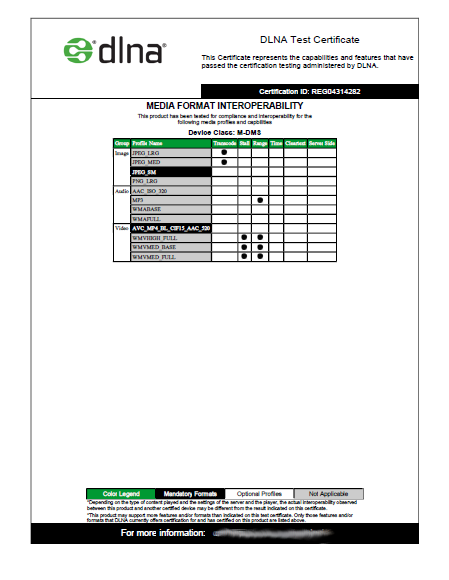 Rumor: DROID Incredible OTA Halted? Froyo Added?